How do I create/activate/link my online account? For a step by step guide on how to create, activate and link your account, please click HERE. You will have previously activated your online account or set up a new account. You once again click ‘Login’. You will be asked for the email address and password which you provided during your activation process. *If you have forgotten your password you will see a link that says ‘Forgot Password’ this option will send you a temporary password via email which will enable you to login. You can then change the password to whatever you would like once logged in. What is classified as a concession ticket? Children Under 8: Kids must be under 8 on 1st August 2018 (born on or after 01/08/2010) and they must be accompanied by a full paying adult and only available in the silver and bronze areas of the stadium. 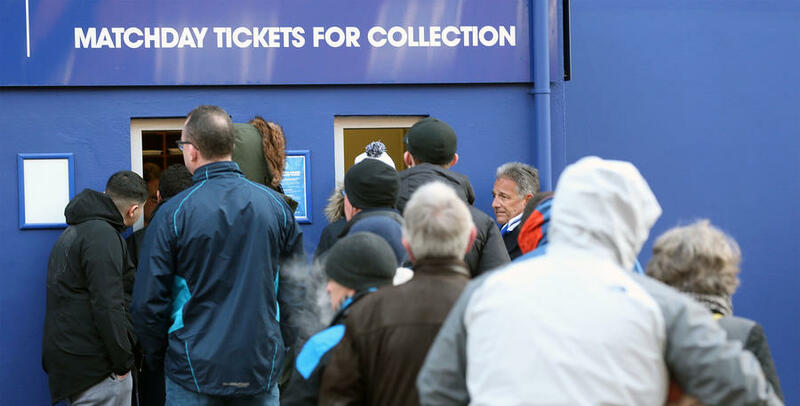 Tickets generally go on sale around 4 weeks before the date of the fixture. The first week of sale would be to members and season ticket holders and then general sale a week later subject to availability. Please download the Fan Calendar HERE for all on sale dates. When do away tickets go on sale? Away tickets generally go on sale between 3-4 weeks before the date of the fixture. Supporters with the highest number of Loyalty Points will receive priority on tickets for away matches where demand exceeds the supply. Loyalty Points from the 2017/18 season will be carried over into the 2018/19 season to create a cumulative total. No guarantee can be given nor will it always be possible to accept postal, telephone or internet applications in respect of such matches. Please note, loyalty points are non-transferable between supporters. Normal Tickets: Any home match ticket assigned to an Official QPR Member will be automatically loaded onto their Membership Card. Please note that only one home match ticket will be placed on the card of each member. Additional tickets, including all away tickets and Stadium Tour tickets, will be dispatched by post if booked before 3:00 pm three working days before the event. If booked after 3:00 pm three working days before the event, for (a) Home Matches / Stadium Tours: Tickets will be held for collection at Loftus Road or (b) Away Matches: Tickets will be held for collection at the away stadium unless you instruct the box office otherwise. Ticketfast: These tickets will be dispatched directly to your given email address in the form of a pdf attachment within 24 hours of booking. To upgrade match tickets or season tickets on a game by game basis, please call the QPR Customer Services Line on 0208 740 2613 Monday to Friday 10 am - 5 pm and matchdays 10 am - kick-off. Alternatively, you can upgrade at the QPR Box Office or QPR Superstore in person. If I can’t make a game can somebody go in my place? Match tickets are non-transferable, please contact the QPR Customer Services Line on 0208 740 2613 during normal office opening hours. If you are a concession priced ticket holder you would then be faced with the upgrade fee for an adult or your ticket can be used like for like i.e. Senior for a senior or junior for a junior. How do I buy tickets for the away end? Any tickets to sit with the away fans at Loftus Road Stadium must be purchased directly through the away club itself. We do not sell in these areas. Please note any away fans found located in home areas are liable to ejection without a refund. All purchases are final, however, any applications for a refund must be made in writing at least 48 hours prior to the match, along with the return of any tickets issued. Any refunds granted will then be at the discretion of the Ticket Office. In the event of a match or event being cancelled or postponed, tickets would remain valid for the re-arranged fixture. Any further details regarding tickets for a re-arranged game will be posted on the club website.